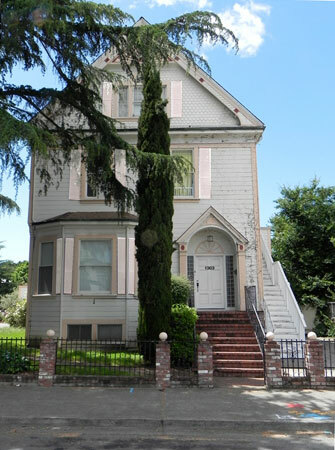 This is a beautiful old Victorian home in Vallejo CA. I love these homes because of the almost endless possibilities of coloring and showcasing all the details. However this style also takes more time to color as you can imagine. But what a blast! My Client for this one was the property manager, who I have worked with on many occasions. She has come to trust my color choices ever since I suggested black trim for one of her homes. She thought I was crazy until she saw the second coat applied and loved it. She asked me to just pick out some colors and send her something she could show the property owner. The only stipulation was that the owner wanted to keep the white on the main body. Keeping the body quiet really allows you to play up the details with bolder colors. I chose a bright yellow and two strong shades of turquoise for this one. 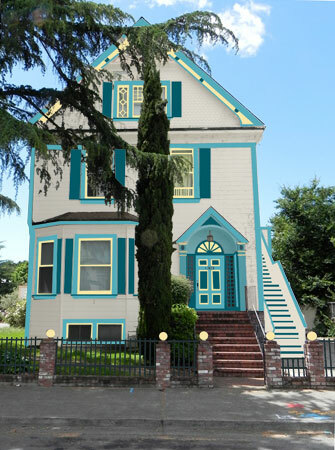 The owner decided not to go for the extra expense of a fourth color, so they left the yellow out and just continued the lighter aqua. I have not taken a photo of the finished paint job yet.